Lija, Malta (BBN) – A film about a hijacking that was being shot at Malta airport about a plane hijacking was disrupted by the real-life hijacking of a Libyan Airbus A320, an official said. ‘It’s very ironic because then there was the real hijack on,’ Magda Magri Naudi, the mayor of the village Maltese of Lija told the BBC. The film, titled Entebbe, tells that story of a 1976 hostage situation in a Ugandan airport, reports BBC. The incident 40 years ago saw Israeli forces free 105 hostages in a surprise raid at Entebbe airport, killing about eight hostage-takers and 20 Ugandan troops. However, Friday’s incident ended rather differently when the two hijackers surrendered peacefully to police. The Gaddafi supporters hijacked the Libyan plane armed with hand grenades, and later surrendered at gunpoint. The two men had allowed all but the plane’s pilots and other male cabin crew members to leave the aircraft, leading to fears they could be readying to take off. However shortly after demanding political asylum in Malta, the hijackers peacefully left the plane along with the remaining crew. They were then dramatically arrested, searched and taken into custody by armed forces. A group of 25 women and children were initally allowed to leave after the two men took control of the aircraft as it flew over Libya, redirecting it to Malta. A second group, numbering 40, was released shortly afterwards, before all of the remaining passengers of the Libyan Afriqiyah Airways flight were allowed to leave. Earlier it had been reported that they were calling for the release of Muammar Gaddafi’s son Saif al Islam, who it was thought had already been freed in July. Saif is the most prominent of Gaddafi’s eight children and was sentenced to death by a Libyan court in July 2015 as part of a mass trial of former regime officials. He was said to have been released from house arrest in July after the sentence was quashed by Libya’s new UN-backed government. Al Arabiya claimed that a member of the Libyan House of Representatives had been present on the aircraft, as had been Libyan, Indian and Pakistani nationals. The two men were said to be part of the pro-Gaddafi group Al Fatah Al Gadida, and at one point waved a Gaddafi flag from the plane’s front doorway. Former Libyan leader Muammar Gaddafi was killed in an uprising in 2011, and the country has been racked by factional violence since. After the plane landed, the Malta airport authority said all emergency teams had been dispatched to what it called an ‘unlawful interference’ on the tarmac. A tweet by the Maltese Prime Minister confirmed that there was 82 males and 28 females onboard, including one infant. A Libyan security official said the pilot informed Tripoli Airport Control that hijackers were preventing him from landing in Libya before communication was lost. The tiny Mediterranean island of Malta is about 300 miles north of the Libyan coast. Libya has been in a state of chaos since the 2011 overthrow of Moamer Kadhafi left warring militias battling for control of different parts of the country. Forces loyal to a fledgling national unity government recently took control of the coastal city of Sirte, which had been a bastion for the Islamic State group since June 2015. Western powers have pinned their hopes of containing jihadism in the energy-rich North African state on the government but it has failed to establish its authority over all of the country. A rival authority rules the country’s far east, backed by the forces under military strongman Marshal Khalifa Haftar, who have been battling jihadists in second city Benghazi. The aircraft had been flying from Sebha in southwest Libya to Tripoli for state-owned Afriqiyah Airways, a route that would usually take a little over two hours. The last time a hijacked plane landed in Malta was in 1985, when EgyptAir Flight 648 was taken over by three Palestinian members of the terrorist group Abu Nidal. The subsequent raid on the aircraft by Egyptian troops resulted in the death of 58 passengers, with only one of the three hijackers surviving. The hijacking of planes was a common tactic by terrorist organisations during the last 20th century, most notoriously when two aircraft were flown into New York’s Twin Towers in September 2001. In March 2015, co-pilot Andreas Lubitz locked himself in a cockpit of Germanwings Flight 9525 when the captain went out for a rest. He then started to descend the aircraft, and after eight minutes of falling it crashed into the Alps near the French village Prads-Haute-Bléone, killing 150 people. A year later, in March 2016, EgyptCyprus Flight MS181 was taken over after a passenger said he was wearing an explosives belt and was diverted to Larnaca. 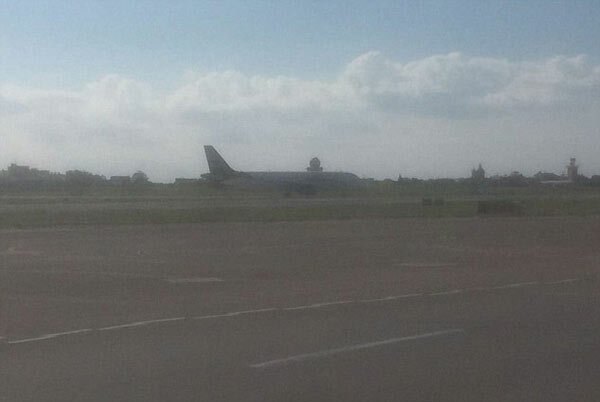 The hijacker surrendered after hours of negotiations with no causalities to passengers or crew.